Doran 8000XL stainless steel washdown scale features internal rechargeable battery and charger provides a simple-to-maintain scale that can fully charge the battery in five hours, even while the scale is being used. The basic controls are all here—Zero, Units, and Print, you can't get any simpler than that. Anytime a customer contacts us looking for a stainless steel washdown scale, we often recommend a Doran Scale like the 8000XL. 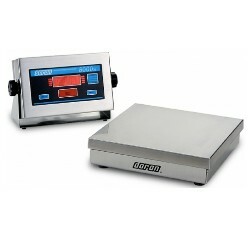 This scale also includes an internal rechargeable battery and is ideal for food service applications and other types of businesses as well. There are many different platform sizes and capacities available. 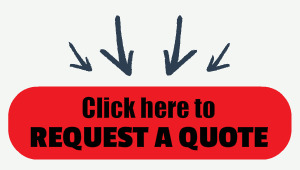 Of course Doran Scales has been doing this for over thirty years and is well known as a leader in the scale industry. Central Carolina Scale is an authorized Doran Scales distributor and not only sells the items but also repairs and calibrates the scales too. No, that's not a typo! Our unique "Quad-Spring" design protects the sensitive load cell from shock and overload damage. Protected to a maximum of ten times the base load rating, this design sets the new industry standard—a feature available only from Doran. Take the 8000XL stainless steel bench scale to new levels with the enhanced features made possible with the new Excel Series Design. Choose from a variety of communication options that include Wired or Wireless Ethernet. Control a mixing or batching operation simply by adding setpoints and relays. Please notice, in addition to the items below, we are also able to get this scale with an 8" x 8" platform.